Youth Education and Leadership Initiative (YELI) is a Non-profit and Non-Governmental organization formed out of a pressing desire to rescue a succeeding generation of the human person from education related problems and leadership challenges. 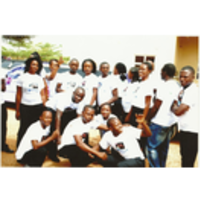 YELI is a ten-man board of advisory youth development and empowerment focused organization registered with the Corporate Affairs Commission (CAC) of the federal republic of Nigeria, with reg. No CAC/IT/No 41511, duly committed to working with both Christian and Muslim youth in and out of schools in Nigeria and Africa. The project is promoting universal basic education projects in primary and secondary schools in Nigeria to reduce ignorance and illiteracy among the youth in, and out of schools. We are contributing to integral and intellectual development through effective leadership building and institution of intensive reading culture in the society for social growth, poverty reduction and building of peace and harmony among youth in the Nigeria and Africa through seminars, workshop, conferences, concerts and contest. Our vision is to see a Nigeria, Africa and a world free of ignorance and illiteracy, where leadership is good and young people have the opportunity to realize their potentials and pursue their dreams and aspirations in an atmosphere of peace and sustainable development. We are also motivated to encouraging intense research work through the Internet and the cultivation of books reading habit as a culture of life in our society. Reading of Positive information to the ears and the mind we trust saves and makes life fulfilled. CURRENT PROJECT: YELI plans to be establishing mini Libraries in Nigerian local communities, especially in schools, granting Educational scholarships to outstanding students (change ambassadors) as a way to encourage reading & writing skills acquisition among youth in order to discourage thuggery, spirit of violence and unemployment. Our Motto: With God, Learners are Readers and Readers are Leaders! Be our partner and support this project today! BE FREE TO DONATE TO OUR CAUSE AND ADD YOUR FRIENDS TO THE YELI GROUP. GOD BLESS YOU!